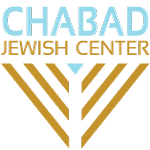 Want to keep in the loop on the latest happenings at Chabad Lubavitch of Idaho. Subscribe to our mailing list below. We'll send you information that is fresh, relevant, and important to you and our local community. Universal Morality The Seven Noahide Laws All Mankind Discovery of Planet Earth Morality Without G‑d Light Unto the Nations Why Is Conversion to Judaism So Hard? Should I Convert to Judaism? Is Judaism the Truth? Why Do Rabbis Discourage Conversions? The Path of the Righteous Gentile Seven Colors of the Rainbow Does Chabad offer conversions? Celebrate the holiday of freedom with family and friends at an inspirational Passover Seder, complete with stories, insights and humor. Enjoy hand-baked Shmurah Matzah, Four Cups of fine kosher wine, and a gourmet festive dinner. Enjoy an inspiring Friday night service, a delicious Shabbat dinner in an inviting atmosphere with friends! At Chabad Hebrew School your child will get maximum attention and superb Jewish education from teachers that love and live Judaism. It's really a place where kids love to learn! Join other Jewish parents and kids as we explore the child's world through story, song, crafts and circle time. More than half (55%) of Americans say they pray every day, according to a 2014 Pew Research Center survey, while 21% say they pray weekly or monthly. But what is the purpose of prayer? Can we cause G-d to change His mind? Is He in need of incessant praise? This course aims to make prayer more personally meaningful by addressing some of the philosophical, emotional, and practical barriers that make it difficult to pray. And by examining the history of how the Jewish prayers developed, as well as the meaning of the most notable prayers, participants will become more comfortable with tapping into Jewish prayer as a means of connection to their heritage.